While the Dow Jones Industrial Average fell 10% during the first two months of the year, silver prices gained 7.9%. The metal has continued to be a top performer – up 10.3% just this month alone. And with the silver price up 4.5% to $16.99 today (Tuesday, April 19), those gains aren't stopping anytime soon. That's why we're showing you our new silver price forecast for 2016. Our experts see the price of silver posting another double-digit gain before the end of the year. 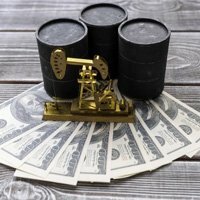 There have been a number of factors lifting silver prices over the last four months. These include worries over the growing use of negative interest rates, the ineffectiveness of global central banks, and various geopolitical risks. But the biggest catalyst is the U.S. Federal Reserve's signal that interest rates will be lower for longer. This dovish sentiment has lowered the U.S. dollar, which typically moves opposite silver prices. The Wall Street Journal Dollar Index, which tracks the greenback against a basket of 16 currencies, is down 6.2% since its 2016 high on Jan. 25. The price of silver has also been boosted by pricy stock valuations. The S&P 500's trailing price/earnings (P/E) ratio is 18.4, far above its 10-year average of 15.4. That has kept many investors from buying into the recent rally that propelled stocks 12% from Feb. 11 through mid-March. Instead of heading into stocks, many started investing in silver. Silver is a safe-haven investment, similar to gold. You see, silver prices tend to trade in tandem with gold prices. But there's been a massive divergence between the two metals this year that can't be ignored. In fact, it opens up a strong profit opportunity for savvy silver investors. This divergence is measured by the silver-to-gold ratio. It represents the amount of silver it takes to purchase one ounce of gold. The ratio is calculated by dividing the gold price by the silver price. As of April 19, the silver-to-gold ratio is roughly 78. When the ratio is high, it means that silver is trading at a discount compared to gold. Last month, the ratio hit a high of 83 – a level reached only three other times in the last 20 years. Since record keeping began in 1687, the silver-to-gold ratio has fluctuated between 14 and 100. Throughout the last century, the average range of the ratio has been 47 to 50. Some traders are selling gold and buying silver in hopes that the ratio moves back into the recent range of 47 to 55. The currently wide spread has fueled bets that the silver price will spike. According to Money Morning Resource Investing Specialist Peter Krauth, the relationship of silver and gold prices – as well as a combination of other forces – ensures silver is "unnaturally, incredibly cheap." 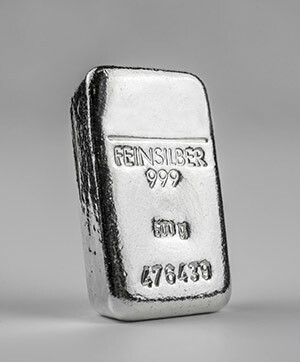 Krauth sees silver prices hitting the $22 mark in 2016. That's because this year's low prices will keep drawing investors to the metal. Based on today's price of $16.99, that's a gain of 29.5% by the end of the year. The U.S. Mint has sold roughly 15 million ounces of the popular silver American Eagle coins so far in 2016. That 25% more than the amount sold over the same period last year. At this pace, the Mint is on track to sell 60 million ounces in 2016, which would be a record high. Demand for silver jewelry is also growing. According to a recent survey by the Silver Institute, U.S. sales of silver jewelry rose for the seventh straight year in 2015. Investors are also bulking up on silver via exchange-traded funds (ETFs). Commerzbank reports silver ETF holdings are now at their highest level since late 2014. Krauth says silver prices tend to suffer from a delayed reaction to gold price movement, which can often last months. But the market is reverting to its average. That indicates the silver-to-gold ratio will revert to its pre-financial crisis average of 55 and ultimately send the silver price higher. To benefit from silver's rally without having the burden of storing physical silver, Krauth recommends investing in Sprott Physical Silver Trust ETV (NYSE Arca: PSLV). PSLV is a trust that holds its silver bullion at a secure third-party location in Canada. Its holdings are safe because they're subject to periodic inspections and audits. The main perk for American investors is that holding PSLV for at least a year lets you benefit from an approximately 15% capital gains tax. That's significantly better than the 28% rate with most precious metals ETFs. As of today (Tuesday, April 19), PSLV is up 22.01% on the year. Historic Ratio norms have been based on several factors. The legacy models are outdated and looking in the rear view mirror. 1. In the past, you have had an artificial anomaly of government stockpile reserves that have acted as a "buffer". Today, Silver is a just in time lifeblood precious metal. You have gone from multiples of billions of ounces of Silver to just over a billion. You use 1.0 – 1.2 billion oz per year. 2. Technology, Moore's law is moving a much faster rapid pace. Silver is involved this advancement. If you take the velocity and usage since the mid 1990's you will see that trajectory paints a much different picture. You have increased 5 fold since this time alone. 3. A often over looked CAGR is monetary investment. For example, American Silver Eagles have increased 5.3x just within a 4 year period. In fact, YOY comparisons just for this quarter alone is over a 20 percent CAGR. 4. Ascension of Middle Class and population: The UN calculates that there are more than 7 billion living humans on Earth, yet 200 years ago we numbered less than 1 billion. Within every 10 year period, we are increasing by 1 billion people. Simultaneously, we have the biggest migration worldwide. These people aspire to have a middle class lifestyle including refrigerators, coins, etc. Technology is speeding this up. That ratio built over a legacy past does not account for technology, velocities and other metrics per person per unit time. People often quote it because it gives them comfort. The world is dynamic and Silver is in it. People need to think different about it. Factually, Silver Coins are purchased 10:1 (It is consumed 10x faster then 1 oz of gold just on a coin basis). The legacy, historical ratio is obsolete. The models based on it is out of date and wrong. The past is not the future and I have 243 factual reasons from deprecated mining operations to solar and so much more. Silver should be 10:1 and only artificial facsimile paper derivatives are making this factitious. Fractional Derivatives are in a massive bubble but this for another discussion.